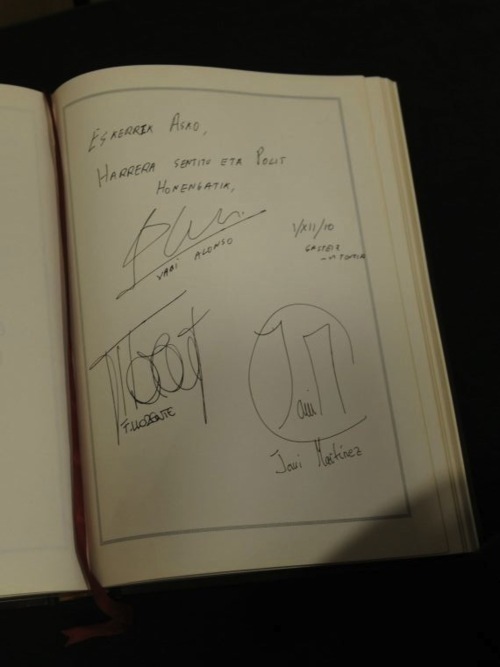 Fernando Llorente, Javi Martinez & Xabi Alonso - The signatures (1.12.2010). . Wallpaper and background images in the Fernando Llorente club tagged: fernando llorente footballer soccer athletic de bilbao spain national team 2010.